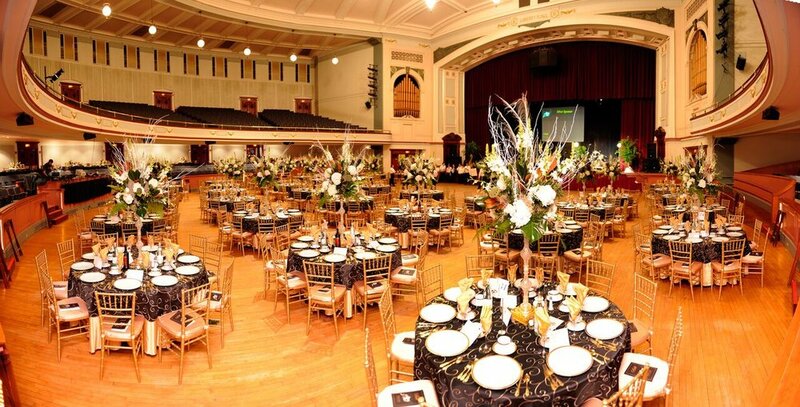 Make the Lowell Memorial Auditorium the home for a concert, musical, wedding, corporate event, recital, trade show, or fundraising gala! 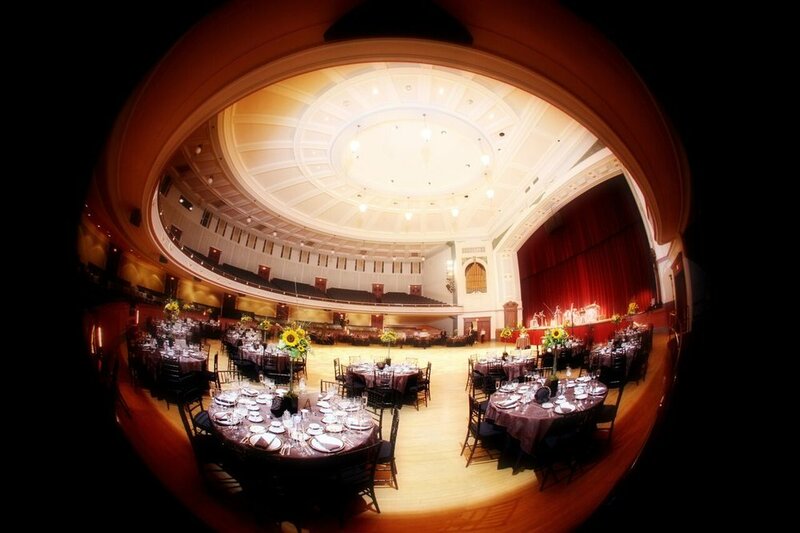 The Lowell Memorial Auditorium’s unique design allows its main floor to be set up in theatre-style seating, or with up to 50 round tables of 10, or 90 trade show booths, making the auditorium the perfect location for any type of event. Our flexible wedding/dinner event set ups allow us to accommodate from 100 to up to 500 guests for dinner and dancing.